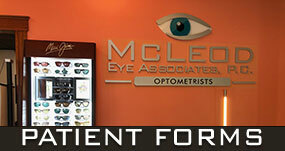 Home - McLeod Eye Associates, P.C. $10 a pair, up to $10 million, to help those fighting for their sight. We are the only practice in the area to have this exclusive brand. 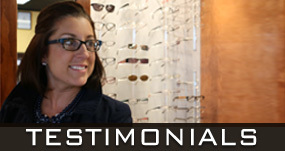 We’ve been committed to eyecare for over 25 years! 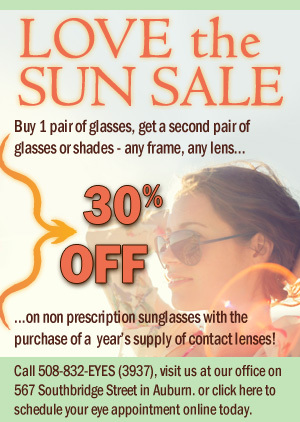 Conveniently located at the Heritage Mall in Auburn, Massachusetts, McLeod Eye Associates provides you with comprehensive eyecare, Monday through Saturday. We strive to provide the newest technologies available in eyecare and ocular health, as well as glasses and contact lenses, all while working within your busy schedule. 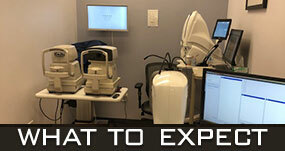 Don’t put off getting your eyes checked, keep them healthy by visiting us! 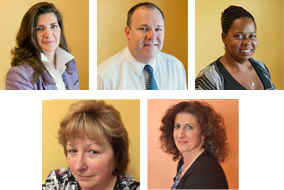 We have a great team here at McLeod Eye Associates, PC — Dedicated, professional, and we have even been known to be fun! *When you purchase Revo Sunglasses, Revo donates $10 a pair, up to $10 million, to help those who are fighting for their sight. Online Scheduling is a service provided by Solutionreach. Please note that your appointment IS NOT final until you have received the second email from us approving or denying your request. NEW patients MUST call the office to schedule an appointment. The online booking feature is available to current patients only. Note: You may request a doctor but booking online does not guarantee an appointment with that provider. Please call the office to book with a specific doctor.